The Studio Alpha Channel has organized at their showroom in Venice an interactive multimedia performance with the dancer choreographer Jennifer Cabrera Fernandez. 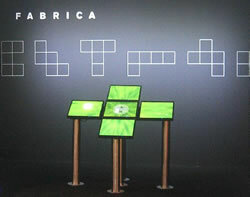 The programming of real-time visual was created by Stefano Bergonzini. 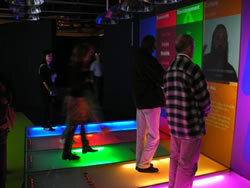 The interpretive theme was inspired by the birth of our second identity, digital identity. 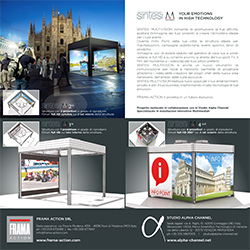 Sintesi Multivision born from an idea of Stefano Bergonzini, expert on interactive multimedia systems, that with the collaboration of Action Frama Srl specializes in construction and equipment for verandas, pergolas and vertical blinds have created an innovative product for the 360 ° immersive video visible from inside and outside of the structure. 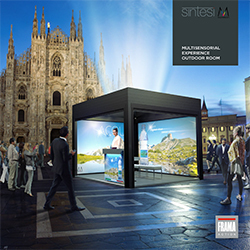 Sintesi Multivision has a gesture recognition system that allows you to select the content to be displayed on the screens. 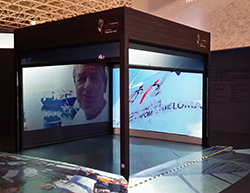 This installation is on display until October 31, 2015 at Pala AQUAE Venice, unique collateral pavilion at Expo 2015 in Milan. 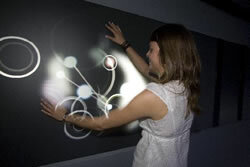 Gestural interaction without touch with virtual environments 360 ° panoramic pictures. 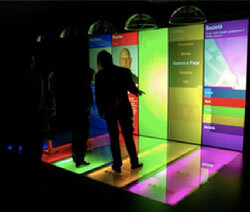 Installation suitable for any type of projection on a large screen, walls or video display. The development of ties interpreted as a dance, which increases its complexity to any physical contact, until they become all one with the emotional part of our brain organic. The Studio Alpha Channel has organized at their showroom in Venice an interactive multimedia performance with the dancer choreographer Jennifer Cabrera Fernandez. 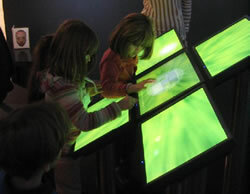 The programming of real-time visual was created by Stefano Bergonzini. 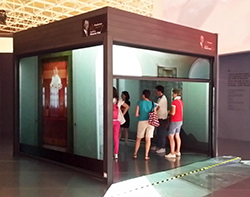 The interpretive theme was inspired by the ties between the humans. The Studio Alpha Channel has organized at their showroom in Venice an interactive multimedia performance with the dancer choreographer Jennifer Cabrera Fernandez. 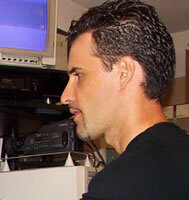 The programming of real-time visual was created by Stefano Bergonzini. The interpretive theme was inspired by the birth and evolution of the human spirit.